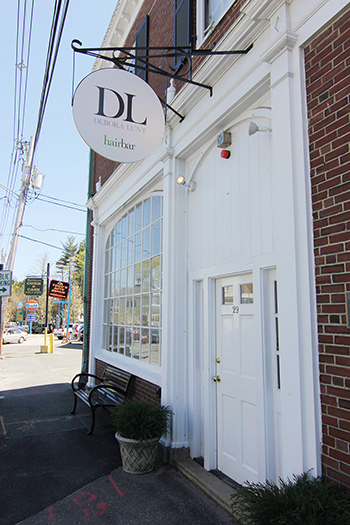 DL Hairbar is located at 29 West Street in lovely Beverly Farms. We are a short walk from West Beach and right on the main street of Beverly Farms with a number of darling shops and coffee spots. Come for a blow out, stay for a sandwich at Vidalia’s, a donut at Half Baked or a new book from the Beverly Farms Book Shop! CAR: From Route 128, take Exit 17 and follow Grapevine Road toward Beverly Farms. Take a right on Hale Street and a left on West Street. The salon will be on your right. PARKING: Parking is available next to the salon in the designated spaces. There is ample on street parking along West Street, and a public lot behind the salon. TRAIN: We are right around the corner from the Beverly Farms station on the Rockport/Newburyport commuter line.